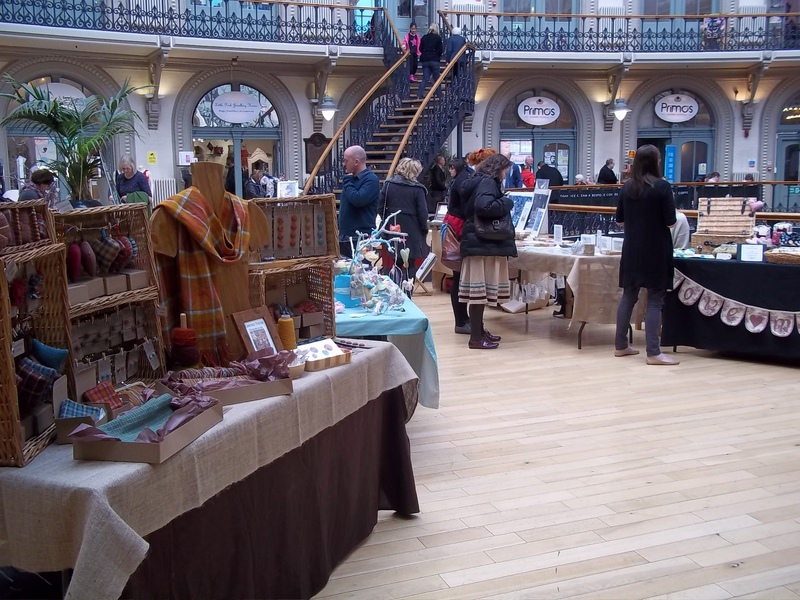 Well I’ve made it home after an exhausting but fun day at the Reetsweet Designer Maker Fair at the Corn Exchange in Leeds. 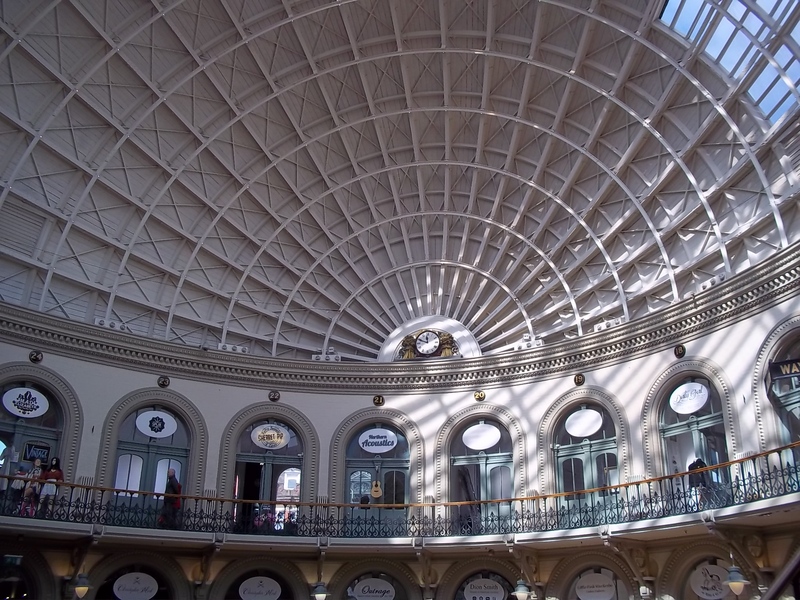 I’m ashamed to say I had never been there before but it was a stunning building and full of great indie shops and eateries. 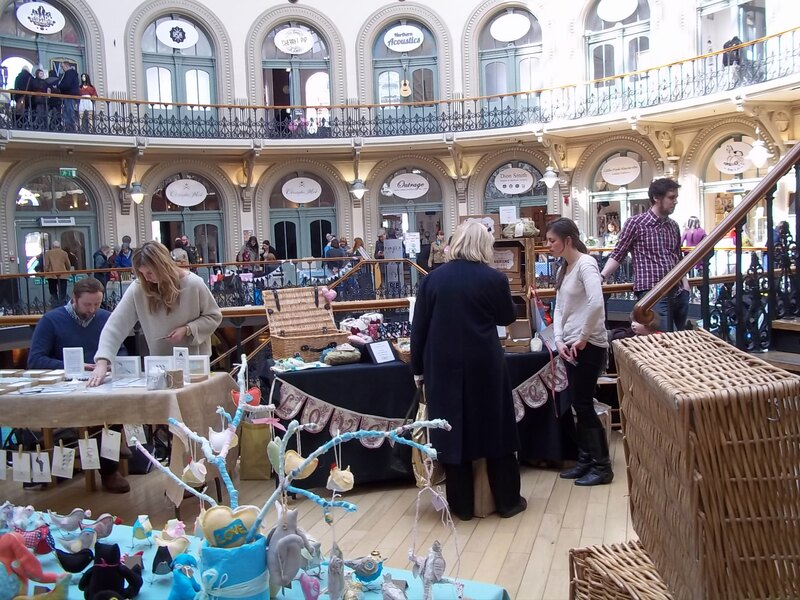 I met some lovely fellow makers as well as visitors and sold most of my buttons and all of my purses including one I was secretly hoping no one would buy so I could keep it for myself. Arh well. I arrived by train, carrying a suitcase, 2 baskets and a mannequin and so fellow comrade from the Facebook group Craft Soup, Becky Moore of Becky Moore Handbags very kindly brought along an extra chair for me. I’d never actually met her before – it is breathtaking how supportive the crafting community is. It was a very well organised event and I hope to do it again. Tonight I am resting my poor weary feet, ready for visiting the British Trade Craft Fair at the Yorkshire Showground tomorrow. Meanwhile you can see more pictures from today’s event at Reetsweet’s facebook page. 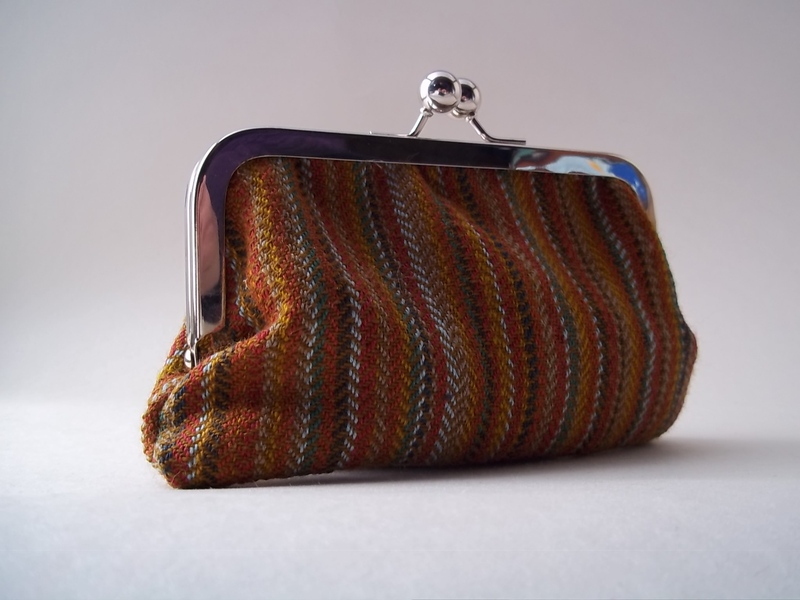 Another post and another event signed up for – Reetsweet seeks to promote handpicked contemporary and fashionable crafts – so as you can imagine I am pretty chuffed to have got in. 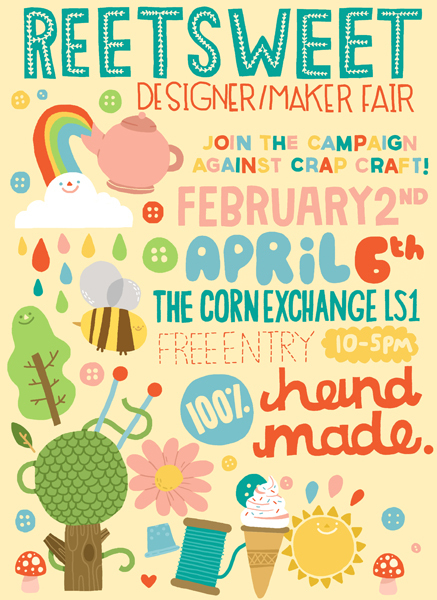 There is a lot of talk that craft fairs simply aren’t worth doing, competing as you are with brought in goods and assembled tat, but as long as there are folk willing to go to such an effort to support designer makers then I remain hopeful. 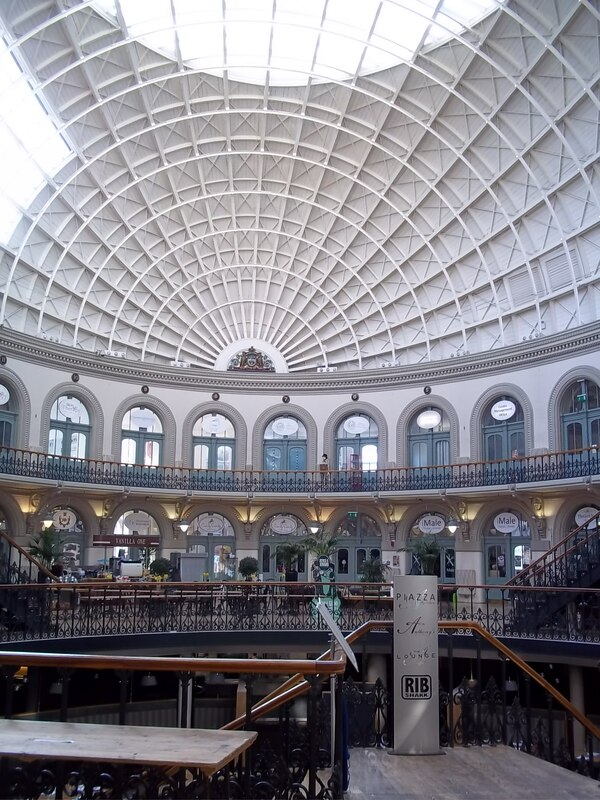 So I’ll be at the Leeds Corn Exchange on the 6th, do pop down. Now that I’ve made enough stock of the smaller items I am looking forward to a bit of breathing space to work on some scarves and experimenting on the loom. I’m going to do a bit of work on the website today and a dash of admin, tomorrow I have governor training, Sunday I’m making kits for Salts mill, but Monday I’ll be back at the loom, or rather the warping mill, but inching closer to it anyway!